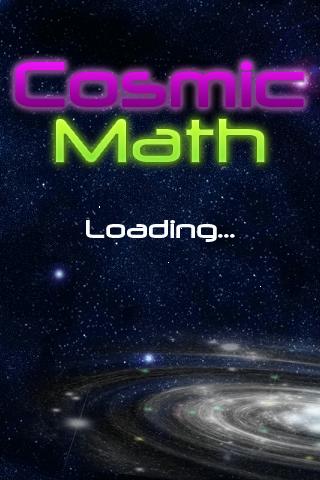 Cosmic Math is a math drill game for kids just starting out with math. It covers addition, subtraction and telling time. Each level is randomly generated and gets progressively harder. 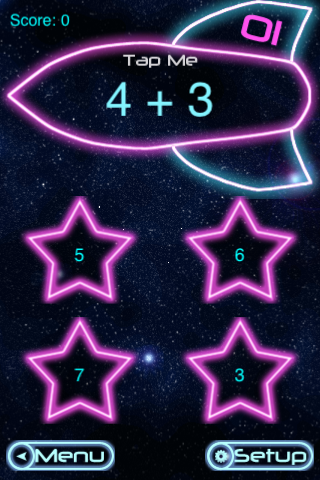 Parents can set the number of questions for each round. The style of the game is 50s Space Neon. Each round takes place against a backdrop of original space art. Each level brings new music, and beating 5 rounds in a given game rewards the child with fireworks. 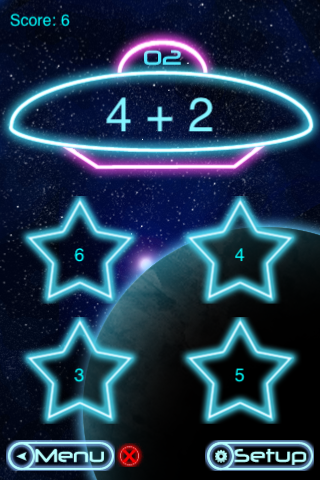 Clicking on the spaceship will show the problem in a variety of ways. Including shapes for counting, a number line or a number sentence. 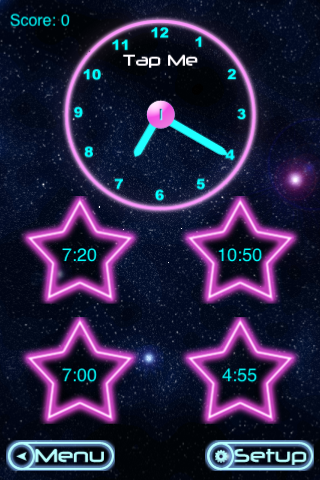 Clicking on the clock will let the child see the values for the minutes, or in later level will replace the lines with numbers again.